2019 is all about self-care. If you still can’t give yourself that well-deserved vacation or time-out from all the pressures of everyday life, start by being mindful of what you eat. More often than not, our diets are loaded with sugar, salt, and saturated fat, all of which are actually found in the added flavorings of the dishes that we eat. Unfortunately, they build up bad cholesterol in our bodies. We consume approximately 2,500 calories per day so it’s important to make it count. It was in 2017 when local lifestyle brand Grace Home debuted their first food venture called Taste by Grace Home—a line of food products made especially for entertaining guests at home. After the successful launch of their line of cheese-pairing jams two years ago, Taste introduced three condiments last year namely Spiced Rosemary Honey with Pink Peppercorns, Organic Tomatoes and Kaffir Lime Chutney, and Organic Spinach and Mushroom Chimichurri as part of their growing line of healthy products. 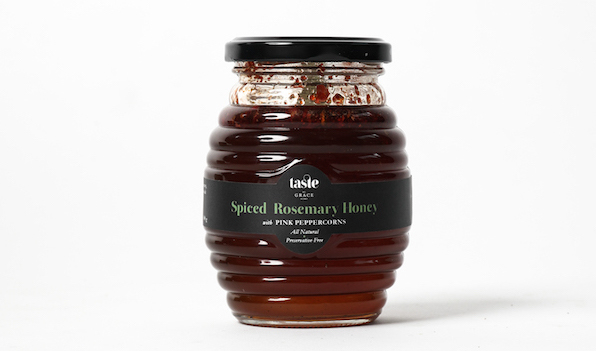 Instead of using artificial sweeteners, the condiment is made with organic honey sourced all the way from Palawan. Baja calls it as a versatile honey. “It can be used as a glaze or as a topping for anything—be it on your savory or sweet dish,” says Baja. It can be used to add extra flavor to dishes like chicken, pizza, salads, and even desserts such as cheesecakes and panna cotta. She suggests turning the honey into a salad dressing by adding vinegar and extra virgin olive oil. Chutney is a traditional sauce in India known for its spicy-sweet taste, combining fruits or vegetables with vinegar, spices, and sugar. 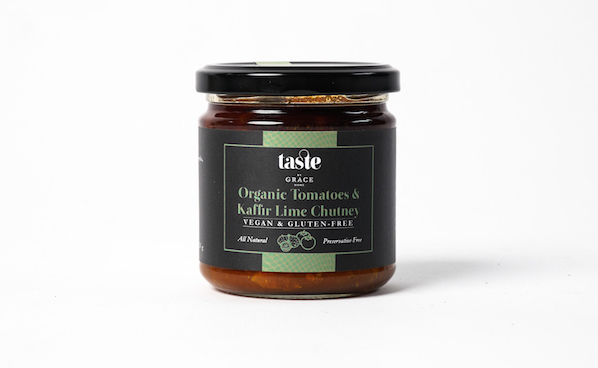 Taste’s version of the classic sauce combines the “distinct citrus-floral notes of kaffir lime leaves with zesty organic tomatoes seasoned with paprika and infused with the finest extra virgin olive oil.” Baja recommends simmering the condiment with hot water to make a hearty bowl of tomato soup. Chimichurri is an uncooked green sauce used for grilled meat that originated from Argentina. 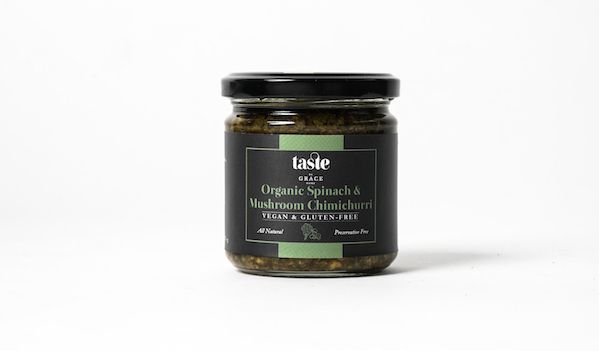 Baja turns the classic parsley-garlic dip into a mixture of organic spinach, mushrooms, truffles, garlic and Himalayan pink salt, all infused into a traditional chimichurri. In her own kitchen, Baja mixes chimichurri with cream cheese to turn it into a spinach cheese dip.